Oakley Turbine Rotor sunglasses feature a premium blend of performance and style features. 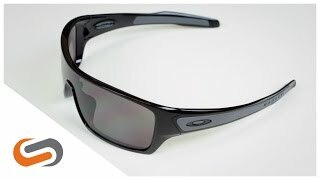 These Oakley sunglasses are constructed with a toric rectangular shield lens for extended coverage, Unobtainium material for increased grip with perspiration, and lightweight, stress-resistant O-Matter frame material. Inspired by another best selling frame, the Oakley Turbine Rotor sunglasses are another perfect pair for medium to large faces.